Aero Trader Insider is the official blog of Aero Trader Online. Aero Trader will help you find the widest selection of classified ads with 812 airplanes and helicopters to choose from and more than 715 dealership listings. Schweiss Hydraulic Doors can now be opened or closed during an unexpected power outage with a remote-operated DC Battery-Motorized back-up control system. All you have to do is simply press “Up,” and your hydraulic door opens. 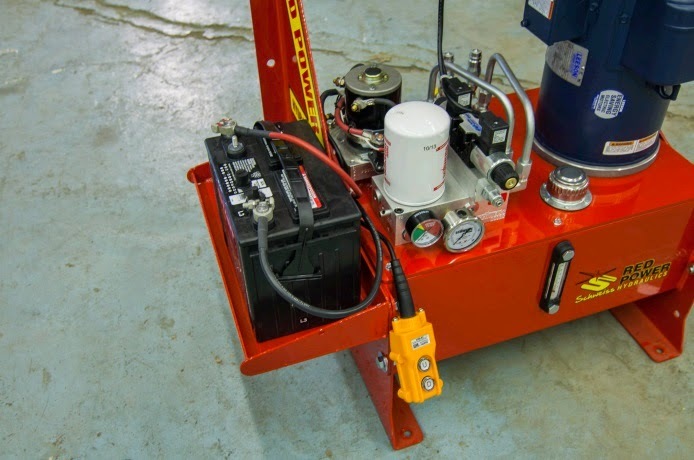 They are also engineered with a no extra cost drill-driven backup system which uses a screw gun 7/16” socket hex head, and hydraulic tractor fittings come standard with each Schweiss Red Power pump hydraulic unit. Emergency door lowering can also be as simple as turning a screw on the pump. Your large moving door will close at a controlled, safe speed, no matter the situation or emergency. It’s that easy, no mess, no oil drains back into the tank. Schweiss Doors has been at the forefront of providing Hydraulic and Liftstrap Bifold doors for agricultural uses throughout Canada and the U.S. Farmers and ranchers have found that the dependability and superb craftsmanship that goes into both these styles of doors and their components has answered their every need. Our hydraulic door pump unit gives you faster door speed when opening and closing giving a cycle time of approximately 30 seconds, it is the most efficient pump on the market. You don’t want a slow door that lets the heat out of your building in the winter or air conditioning out in the summer. The uniquely designed Schweiss pump unit is contained all in one unit and can be top or underhung and mounted on your building wall, floor, under a bench or in a back room.